De La Salle's Henry To'oto'o is the Prep2Prep NCS Player of the Year. De La Salle senior linebacker and running back Henry To’oto’o was pleading with the Spartans’ coaching staff to let him back on the field in the CIF Open Division title game against Mater Dei. His team had closed the gap to seven points against the powerful Monarchs, but To’oto’o could no longer move at anything close to full speed on the field, could hardly even walk, and his pleas were not enough for a coaching staff already amazed that he had even started and played the game in the first place. The day before the game, To’oto’o had suffered a freak injury during a light pre-game workout, breaking his foot. The staff assumed he would be unable to play at all in the Mater Dei game, with the risks posed to one of the top recruits on the West Coast if he did try to play. But To’oto’o himself never even considered not playing. At middle linebacker, To’oto’o was the heart and soul of the Spartans’ defense, and he certainly did his part on the field, totaling 93 tackles to go with six sacks and five fumble recoveries. But those numbers only tell one tiny piece of the story, especially since he stood on the sidelines for close to half of De La Salle’s games, with the Spartans pulling away early in many contests and removing key players so other younger players could get game-time experience. But even more than To’oto’o’s impact on the field was his impact off the field. To’oto’o set an example over his three varsity seasons as one of the most instinctive linebackers the esteemed program has ever seen, yet also as someone who played with extreme passion and prepared himself weekly with countless hours watching film from his own home, enabling him to diagnose opposing offenses with lightning-fast response to anything they tried to accomplish. Had the Spartans needed him to, To’oto’o could have easily ran for over 1,000 yards. As it was, he accumulated 489 rushing yards on just 55 carries, including a 136-yard, two-touchdown performance in the only game where they asked to carry some of the offensive load, a tight win over Bishop Gorman. For his efforts throughout the season, we are pleased to recognize Henry To’oto’o as the Prep2Prep North Coast Section Player of the Year. Other players considered include Bishop O’Dowd’s Austin Jones, Liberty’s Sione Vaki and Cardinal Newman’s Dino Kahaulelio. Liberty's Ryan Partridge is the choice for Prep2Prep NCS Coach of the Year. When Ryan Partridge left Livermore after one season to take over the vacancy at Liberty High in Brentwood, he knew exactly what he was getting. Not only was the fledgling head coach cutting roughly two hours off his commute time each day, he was also inheriting a stocked roster, one which had dominated the opposition at the lower levels for each of the past two seasons. But it’s one thing to have talent on a roster, and it’s a completely different thing to have that talent reach its potential, and the latter is exactly what Partridge has done with the Lions. Liberty had won one playoff game before Partridge’s arrival, and even then, there were those who claimed the only reason that was a landmark victory was due to the 16-team brackets. After all, the 2003 and 2005 versions of the Lions were considered to be very strong teams, but they had lost in the old eight-team bracket quarterfinals, meaning technically they had gone as far as the 2014 team which won that lone playoff game. Now, however, there is no debate as to the greatest team in school history. The 2017 Liberty team put its mark on program history by going 11-2 and winning the North Coast Section Division 1 title, routing rival Freedom in the championship game. But even then, that meant the Lions were the fifth-best Division 1 team that year, so the bar was set even higher entering the 2018 campaign. The Lions did just that, knocking off Pittsburg in the de facto BVAL title game to snag the two seed in the Open Division playoffs, and then dominated the second half against Clayton Valley to win 42-14 and not only advance to the championship game against De La Salle, but also secure a spot in the CIF bowl game series, the final year in which a section runner-up could advance. After the loss to De La Salle in the NCS Open championship, the Lions regrouped to break a fourth-quarter tie against Valley Christian in the CIF 1-A North regional to win 33-21, after losing defensive leader Nicky Einess to a concussion in the third quarter. Einess would not play in the state title game against Sierra Canyon either, but once again Liberty would overcome early setbacks, rallying for the 19-17 victory on the biggest stage, and bringing home the first state title in school history. Prior to Partridge’s arrival, Liberty had never won more than nine games in a season, and the last league title shared by the Lions occurred in 1985. The last outright league title for Liberty came way back in 1965, when the Lions went 9-0 back in the old EBAL, under legendary coach Jack Ferrill, who is featured in the book ‘High School Football in California’, authored by Cal-Hi Sports senior editor Mark Tennis. That Lions’ team was considered to be the top Class B team in the state, but it has now been surpassed by this year’s group. In two years on the Liberty campus, Partridge has compiled a 24-3 overall record, going 13-1 with a CIF 1-A title this year. All things considered, it is easy to see why he earned this year’s top coaching honor. “It’s just awesome and such an honor to be recognized by Prep2Prep, which has done such a great job covering high school sports when it seemed it was lost for a while,” Partridge commented. “This award is a reflection of our student-athletes, our coaching staff, our administrative support at the school and the support of the whole Liberty community.” For his efforts throughout this season, we are pleased to recognize Ryan Partridge as the Prep2Prep North Coast Section Coach of the Year. Other coaches considered for this award include Cardinal Newman’s Paul Cronin, Bishop O’Dowd’s Napoleon Kaufman, De La Salle’s Justin Alumbaugh and Eureka’s Jason White. The BVAL co-Offensive Player of the Year, Butterfield threw for 43 touchdowns while leading the Lions to league and CIF titles. He also threw for 3,293 yards, setting new single-season and career records at Liberty, with one more season to go. The first-team EBAL-Mountain selection averaged over eight yards per carry against elite competition, running for 1,195 yards and 16 touchdowns in the process. He also threw for two touchdowns. If Sturges-Cofer were not a lock for our first-team before the CIF 1-A title game, he certainly was after the game. The first-team All-BVAL selection carried the ball 21 times for 188 yards and three touchdowns in the state title game win over Sierra Canyon, giving him 1,531 yards and 18 scores on the ground this season. The Offensive Player of the Year in the WACC-Foothill, the Stanford-bound Jones ran for over 1,000 yards in all four of his seasons with the Dragons, capping his career with 2,005 yards and 24 touchdowns on the ground this year, to go with 378 receiving yards. Named the Most Valuable Player in the BVAL, Vaki led the Lions on both sides of the ball. Offensively, he had close to 1,400 yards and 20 touchdowns receiving, to go with 85 tackles and four interceptions on the defensive side. The Michigan-bound Jackson was named co-Offensive Player of the Year in the BVAL. The last game of the regular season was a thing of beauty – a seven-catch, 236-yard, three-touchdown effort through the air. Jackson also scored both of the Falcons’ offensive touchdowns in the Division 1 title game loss to San Ramon Valley, and had over 1,000 yards receiving during the regular season. The big-play machine for O’Dowd, Warren received first-team All-WACC honors after bringing in 48 catches for 1,042 yards and a whopping 18 touchdowns, scoring on over one-third of his grabs. He was also recognized as a first-team all-league defensive back. The Stanford commit and first-team EBAL-Valley selection had 31 catches for 506 yards and eight touchdowns this season, while also setting the edge for a run-oriented attack. He was also a standout on defense, with 98 tackles, including 16 tackles for a loss, and three sacks. Zdroik was a first-team All-BVAL selection for the second year in a row, and this time earned the honor on both sides of the ball. He anchored the Lions’ offensive line from his right tackle spot, and was a force up front on defense throughout the season. The Army commit earned first-team EBAL-Mountain honors on both sides of the ball, but was the lineman tasked most with keeping junior quarterback Jack Stewardson upright, a job he did exceedingly well. The powerful right tackle anchored a Spartan run game which averaged over 275 yards per game on the ground, and was a first-team EBAL-Mountain selection. Rask also pulled double duty, and added a few sacks from his spot on the interior of the defensive line. 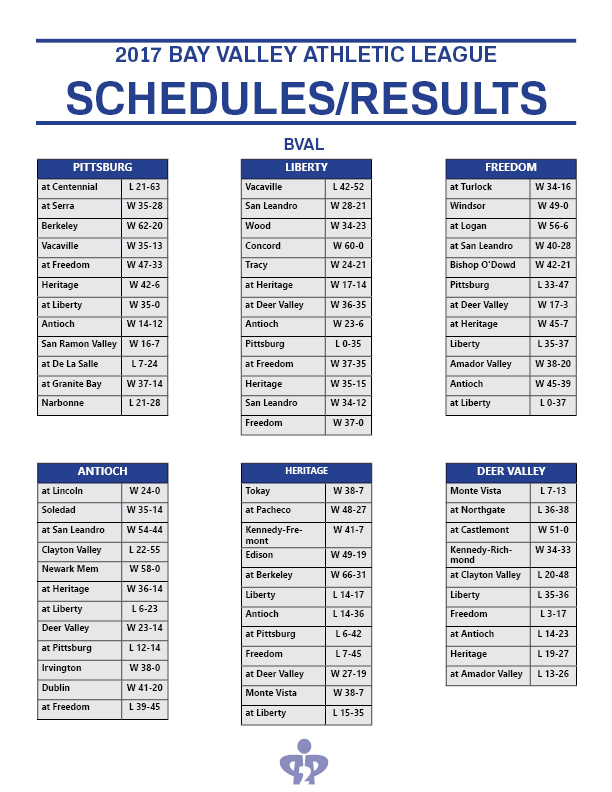 Despite once again losing their starting quarterback, and having a rotating cast of running backs, the Pirates still averaged over 300 yards per game against elite competition and were selected for the Open Division, and the two-time first-team All-BVAL selection was a huge reason why. With Sierra paving the way, Pittsburg averaged 6.5 yards per carry in the run game. The Ugly Eagles love to run the ball, and they loved to run it this year behind Cannedy, the 305-pound mover up front for an offense that averaged 318 yards per game on the ground. He was a first-team DAL-Foothill selection. To stop the Mariners, you had to stop Ison, and no one did that this season. The explosive junior ran for over 2,000 yards and 32 touchdowns, hauled in two more scores through the air, and added three more in the return game. He was named Offensive Player of the Year in the MVAL. Offense, defense or special teams, Harts was always a threat to score. The Arizona State commit scored six times on the ground, had over 300 yards and four touchdowns receiving, threw for two scores, and returned a pair of kicks for touchdowns. As strong-legged as they come, Hoffman drilled 30 of his 45 kickoffs into the end zone this season, and also hit on 6-of-9 field goals, with a long of 41 yards. Working against constant double teams, the Washington commit and BVAL Defensive Player of the Year had eight quarterback hurries and three sacks to go with his 34 tackles, including 11 tackles for a loss. For good measure, he forced a pair of fumbles and had two fumble recoveries. The powerful junior with offers from across the Pac-12 was named Defensive Player of the Year for the MCAL, after anchoring a Marin Catholic defense that was both young and lost key players to injuries. In the Wildcats’ playoff stretch, Sekona was phenomenal as he led a defense which kept Rancho Cotate’s offense out of the end zone and limited Bishop O’Dowd to just 16 points. The two-way standout was especially impressive at defensive end, where he has been recruited by the top schools across the country. For the year, Foskey racked up 40 tackles, including 13 tackles for a loss, and five sacks, though he came out of the game early during most wins. The USC signee had 43 tackles from his interior line position, including 11 tackles for a loss, and a pair of sacks. With Bandes and Benton anchoring the interior, the Pirates held teams such as Centennial to less than 100 yards on the ground, Liberty to just 56 rushing yards, and St. Mary’s-Stockton to 105 yards of total offense. Garay-Harris earned first-team WACC-Foothill honors after a dominating season off the edge. The 6-foot-5 end had 89 tackles and 11 sacks, and scored twice on fumble recoveries. The Washington State commit played biggest in the most important games, with multiple sacks in league play against San Leandro and Encinal, plus a nine-tackle effort in the Division 2 title game win over Marin Catholic. The Stanford-bound Sinclair was the leader of a stingy San Ramon Valley defense, able to both play in the box as a primary run-stopper and also able to drop in coverage, where he had an interception. Sinclair was a first-team EBAL-Mountain selection on both sides of the ball, also rushing for 1,024 yards and 11 touchdowns. The Player of the Year in the EBAL-Mountain, To’oto’o had 93 tackles, including 19 tackles for a loss, with six sacks and five fumble recoveries, despite only playing in about half of the games due to one-sided scores. The Loggers allowed more than three scores just once all season, and the HDN Big-4 Defensive Player of the Year was the primary reason why. The 6-foot-1 linebacker had 113 tackles, including 24 tackles for a loss, to go with five sacks and two interceptions. Mullins was also an offensive threat at tight end, with 356 receiving yards and seven touchdowns. The first-team All-BVAL recipient had 108 tackles, including 19 tackles for a loss, to go with eight sacks and four fumble recoveries. He captained a Lions’ defense which drove Liberty’s run to BVAL and CIF titles. Kahaulelio was named the Most Valuable Player of the NBL-Oak after leading the Cardinals defensively with 119 total tackles, including 16 tackles for a loss, to go with six sacks and two forced fumbles from his linebacker spot. The Cal commit was a TCAL-Rock all-league selection and was one of the top ball-hawks in the section, snagging eight interceptions this year to go with 42 tackles in the secondary. Polk also added eight touchdowns while playing receiver. The lockdown cornerback and first-team EBAL-Mountain selection had three interceptions in limited opportunities, to go with 39 tackles. One of those interceptions came in an impressive performance against Folsom, where he held Clemson-bound Joe Ngata in check. The 6-foot-4 dual-sport standout was a first-team EBAL-Mountain selection on both sides of the ball. Defensively, he had 46 tackles and five interceptions, returning one for a score. Offensively, he led the Mustangs with 45 catches for 716 yards and seven touchdowns. One of the fastest players in the section, Butler was a lockdown cornerback for the Panthers and received unanimous first-team All-BVAL honors. He had 48 tackles in the secondary to go with a team-high nine pass break-ups and an interception. Named the Defensive Back of the Year in the NBL-Oak, Leberthon shined on both sides of the ball, and special teams. He had 42 catches for 806 yards and eight touchdowns offensively, 49 tackles and an interception on defense, and returned three kicks for scores. The Offensive Player of the Year in the NBL-Oak, Pavitt completed 77 percent of his passes for 2,494 yards and 30 touchdowns, with just three interceptions in 200 pass attempts. He also ran for 552 yards and 11 scores. Harper was named first-team DAL-Foothill after completing 61 percent of his passes for 2,932 yards and 32 touchdowns, leading the Cougars to the Division 2 semifinals. The Offensive Player of the Year in the MCAL, Aguero ran for 1,908 yards and 24 touchdowns this season, leading the Giants to a share of the MCAL title. Newell was named Offensive MVP in the DAL-Valley, carrying the ball 215 times for 2,166 yards and 31 touchdowns this season, as the Knights went unbeaten during the regular season and reached the Division 3 semifinals. He added 19 catches for 337 yards. The DAL-Foothill Offensive Player of the Year, Gervais ran for 1,499 yards and 18 touchdowns, averaging nearly 10 yards per carry for the Ugly Eagles. His numbers could have been much higher, but he had eight or fewer carries in four different games. The Most Valuable Player in the Vine Valley Athletic League, Schaumkel ran for 1,059 yards and 20 touchdowns, averaging 7.5 yards per carry, and was a force on defense for the Crushers, who advanced to the Division 1 semifinals. His three-touchdown performance in the quarterfinals carried Vintage past top-seeded Antioch, and he also scored twice through the air this season. The 6-foot-3 first-team DAL-Foothill selection had 63 catches for 930 yards and 10 touchdowns for the Dons, with six games over 100 yards through the air. Allen received first-team DAL-Foothill honors after racking up 61 catches for 841 yards and 13 touchdowns. The 6-foot-2 two-way player also had three interceptions on defense. The explosive 6-foot-2 target was a unanimous first-team All-BVAL selection. He averaged over 20 yards per catch, finishing with 738 yards and nine touchdowns. Campbell’s best game came in a big win over Clayton Valley, when he had nine catches for 162 yards. The first-team All-BVAL selection was a mountain up front for the Lions, defending Jay Butterfield in the passing scheme while also paving the way for an effective run game. At 6-foot-3, 315 pounds, it was difficult for any defenders to match-up with McKey. The Wolves ran for close to 200 yards per game, and were dominant on the ground in their Division 1 title game win over Freedom. The 6-foot-5, 285-pound junior and first-team EBAL-Mountain selection was a major reason why, as he overpowered defenders on a routine basis. Despite losing their starting quarterback to injury, and going through multiple injuries to running backs, the Pirates still averaged over 350 yards per game and reached the CIF 1-A title game, after reclaiming their throne atop the BVAL. Sierra was a major reason why, and earned first-team All-BVAL honors as a result. An extremely young Wildcats’ offense got better as the year rolled along, eventually averaging 333 yards per game as Marin Catholic reached the Division 2 title game. This first-team All-MCAL selection was a big reason why, as the veteran leader of the unit. He is headed to Hamilton College. Aside from being named MVP of the EBAL-Valley, Mazotti pulled the rare feat of earning first-team honors at quarterback and tight end. He ran for 1,245 yards and 18 touchdowns, threw for 822 yards and nine scores, and added 10 catches for 254 yards and four touchdowns. Every time Edwards stepped on the field, something special could happen. In a first-round playoff game against Saint Mary’s, he ran for 358 yards and six touchdowns, while throwing for another, and that was after terrorizing the Panthers with four rushing touchdowns in a regular season victory. During St. Pat’s first win of the year, Edwards threw for 226 yards and ran for 183 more. Alfaro was a scoring machine for the Cougars, drilling 7 of 11 field goals, with a long of 46 yards, to go with his 57 successful extra-point tries. The two-way standout for the Loggers was an easy selection to receive first-team HDN-Big 4 honors on both sides of the ball, anchoring the offensive line from his center position, where he had 28 pancake blocks and paved the way for an offense which averaged over 400 yards, but at the same time fortified the interior of the defensive line with seven tackles for a loss and four sacks. In the Division 3 semifinal win over Las Lomas, he had four tackles for a loss and a pair of sacks. A two-way standout for the Cougars, and a multi-sport athlete, Barbato shined greatest from his defensive end position, and earned Lineman of the Year honors in the NBL-Oak as a result. Coming off the edge, he had 107 tackles and 23 sacks. Offensively, the 6-foot-3 senior was athletic enough to line up at receiver, where he had 55 catches for 1,134 yards and nine scores. The first-team TCAL-Rock selection dominated on the interior line with 48 tackles, including 15 tackles for a loss, and 10 sacks. The six-foot, 310-pound stalwart has offers from schools such as San Jose State and Florida Atlantic. A first-team EBAL-Valley selection, Schaible was a disruptive force up front for the Gaels. The 6-foot-3, 285-pound end registered 88 tackles, including 20.5 tackles for a loss, while adding a team-high four sacks and forcing a pair of fumbles. A two-time first-team EBAL-Mountain selection, Garratt held the edge for the Wolves’ defense, which came up big late in the season with back-to-back wins over Monte Vista, on their way to the Division 1 championship. In the last nine games of the year, only De La Salle scored more than 21 points against SRV, and Garratt was the biggest factor up front. The WACC-Foothill Defensive Player of the Year and San Jose State commit, Cobbs had 106 tackles, including 13 tackles for a loss, and two sacks. He also showed his athleticism by breaking up four passes, and serving as the team’s best receiving threat on offense, with 30 catches for 653 yards and five touchdowns. The Defensive Player of the Year in the DAL-Foothill, Carter led the Clayton defense with 94 tackles, including nine tackles for a loss, to go with three sacks and a team-high four interceptions. The two-time first-team All-BVAL selection, and 2018 National Football Foundation recipient for Contra Costa County, Lacy led Pittsburg with 77 tackles, including 16 tackles for a loss. Once again the heart of the Panthers’ defense, and their Swiss Army knife on both sides of the ball, Ballardo was a unanimous first-team All-BVAL selection after racking up 96 tackles, including 11 tackles for a loss, to go with 3.5 sacks and two forced fumbles. The Defensive Player of the Year in the NBL-Oak, Rantissi had over 100 tackles in all four years of his high school career, finishing with over 600 stops at the varsity level. This year, he had 168 total stops, including 74 solo tackles, and four sacks. One of the most athletic players on the field, Facteau was a first-team EBAL-Mountain selection after locking down one side of the Wolves’ defense. He had a pair of interceptions when he was challenged, and also shined in the return game, returning a punt and a kickoff for scores. Allen was a first-team DAL-Foothill selection after locking down his side of the field with 60 tackles, two interceptions and seven pass break-ups, despite being rarely tested. The San Jose State commit was named co-MVP of the NBL-Redwood, and racked up 83 tackles with three interceptions on the defensive side of the ball. Johnson was also a top offensive threat, with 572 yards and six touchdowns through the air. The co-Defensive Player of the Year in the WACC-Shoreline, Harris did it all for the Lancers, with seven interceptions on defense, one of which he returned to the house. That went with 1,261 yards and 25 touchdowns on the ground offensively, averaging over 10 yards per carry. He added 26 catches for 239 yards and two more scores, along with a punt return for a touchdown, giving him 29 total trips to the end zone. Scott literally never left the field for the Wolverines, and was a first-team All-BVAL selection as a defensive back, where he saw little action, but did have 40 tackles and an interception. Offensively, he ran for 1,055 yards and 11 touchdowns, while also throwing for 905 yards and six more scores. Every coach in the TCAL-Rock mentioned Morales as the guy to stop on the Panthers’ roster, and Morales earned first-team honors on both sides of the ball, along with being a dangerous kick returner. In one standout game against St. Pat’s, Morales had 12 catches for 268 yards and three touchdowns, while also returning a kick for a score. 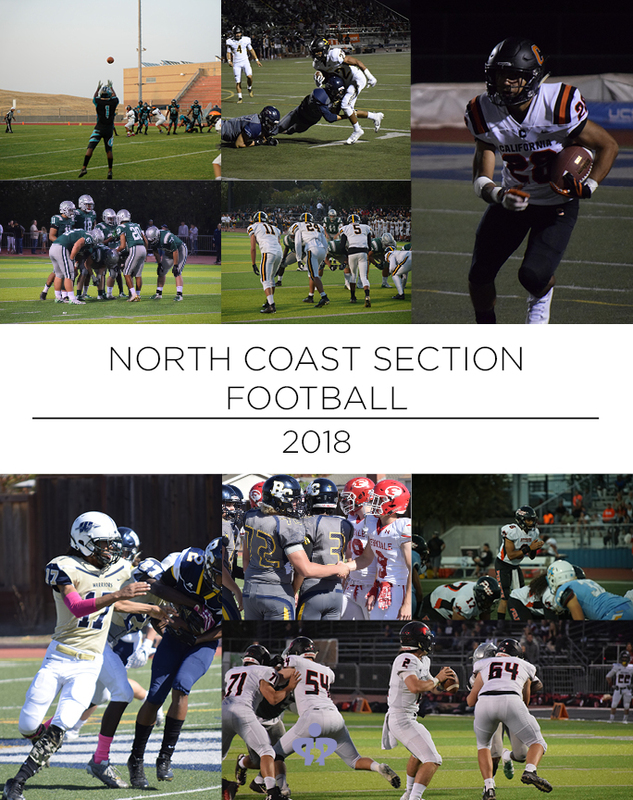 Click here to order your NCS Football Yearbook today!